Away venues: When your son has a scheduled away match, he is required to seek a map to the ground which will be available on-line from the College website under Co-Curricular. Activities Expectations: The College continues to adopt the policy that students play for the school as their first priority, if the activity is offered by the school. Students are free to participate in activities outside of the College, as long as they do not interfere with their involvement in the College Co-curricular Program. Students who have nominated for an activity are expected to attend all training sessions and games. Our nominations to SAAS are based on the number of students who select each activity; therefore, it is inappropriate for a student to decide that he no longer wishes to do the activity or would prefer to do another, without the approval of the Head of Co-curricular. Student Availability: Students are expected to make themselves available for all matches indicated in the program. Where a student does require exemption from a weekend fixture, he should ask his coach as early as possible and by the Wednesday preceding the game at the latest. If an unexpected illness or problem occurs on Friday night or Saturday morning, students must get a message to their coach to avoid consequences. All teachers are contactable via email and contact with outside coaches such as old scholars and parents should be discussed at training or games. Communication: Our Co-Curricular Program is very extensive and occasionally things will not go entirely to plan. Please contact me if a problem arises and we can work to resolve the issue before it becomes a major concern (jfischer@rostrevor.sa.edu.au). I will be equally happy to hear from you when things go well. I look forward to meeting many parents at Rostrevor on Saturday and I hope that you enjoy watching your son's team play and take the opportunity to meet his coach and other parents. Good luck to all students involved in co-curricular activities this year. Always give your best effort, and enjoy your involvement in the program. Cancellations: Middle and Senior Years training will be cancelled if the forecast temperature is 38 degrees or greater. Junior Years training will be cancelled if the forecast temperature is 35 degrees or greater. Weekend games will be cancelled on the Friday if the forecast temperature is 38 degrees or greater. Please check the Rostrevor website under Co-Curricular Late Cancellations if you are unsure about a change in the program due to weather. 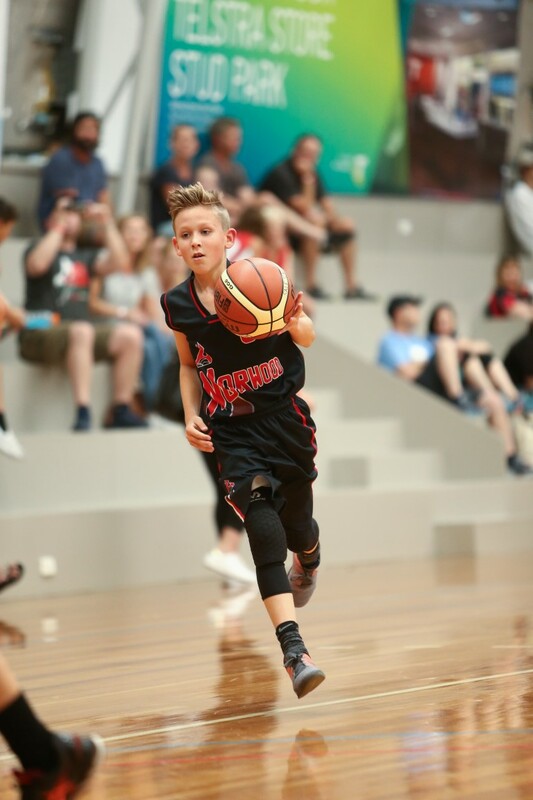 Year 6 Colby Mercer recently travelled to Melbourne over the Australia Day Weekend to participate in the Eltham-Dandeong Junior Basketball Tournament to represent Norwood Flames. His Under 12 Division 1 team played against teams from across the country and New Zealand, finishing a credible 4th after reaching the semi-finals and eventually went down in a close game to the eventual Grand Final winners. Year 9 Matthew Dnistriansky, Jake Slivak and Sam Rahaley were selected to play for Eastern Edge (a selection of the best players from district teams Tea Tree Gully, East Torrens and Kensington) in the Under 14 Redbacks Junior Cricket Competition. Matthew continued his good form with the bat at Tea Tree Gully where he is averaging 51 in the Under 14 Reds including 3 half centuries in his last 3 games by finishing amongst the best bowling performers. Jake also finished with impressive bowling figures placing him amongst the players with the best average in bowling figures.